Here are some ideas so your all set for your big date on the 14th of February. We have planned a romantic meal out and I really can’t wait! Lately I have been so tired and lethargic I know I need to make more of an effort for my husband. All I ever want to do is put on my pyjamas and crash out at bedtime! He has started looking a little sorry for himself. So, for Valentines I am going to work on a proper beauty regime to amaze him! I might even book that spa break I have been hankering after. Anything to remind him why he is lucky to have me. I don’t want him feeling there are more interesting prospects elsewhere!!! I don’t tend to wear makeup, so it’s important my skin looks good au natural because I can’t hide behind layers of foundation! Booking a facial is one way to restore that fresh and smooth feeling. It can purify all the toxins and work wonders on acne! Yes, at forty I seem to still be prone to getting spots! If you can’t afford to visit a spa make a home treatment at a fraction of the cost. I don’t have a huge amount of time to get ready each day so I would opt for something long lasting! If I arrange to have laser hair removal at Pulse Light Clinic I can free up more time to work on other parts of my beauty regime. I am so low maintenance normally, but now I am forty a little bit of effort is probably needed. Without squeezing in shaving to my morning routine I could paint my nails or apply a little makeup. 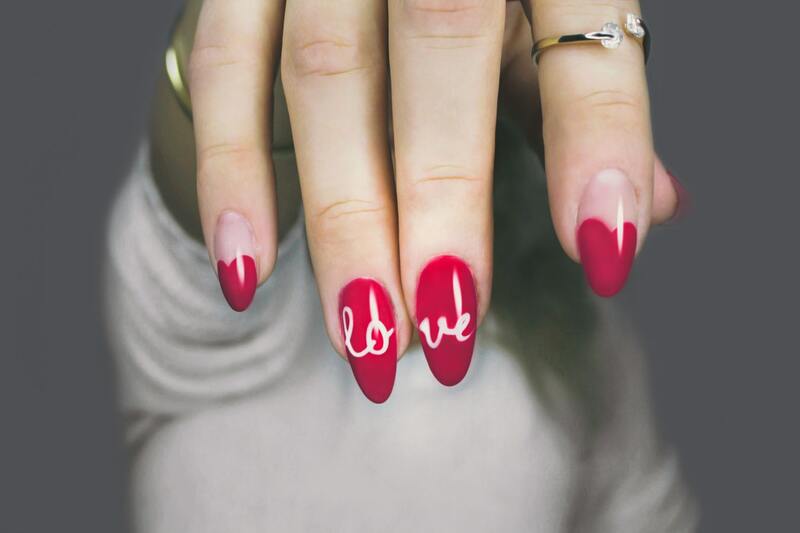 There are lots of articles out there with suggestions for Valentines nail art. I never do anything with my nails. I did get them painted by my friend’s little girl once and my mum said they looked nice because I have quite long fingers. I am tempted to try one of the simpler designs. Nothing too complicated for a first attempt. But incorporating pink and red for Valentines would add some fun to the occasion. My hair is quite long and probably overdue a trim. I love having the length though so I probably should deep condition my hair, so it looks its best. I have some deep conditioning banana treatment from the Body Shop that smells gorgeous! I just find that I usually can’t justify waiting an extra 5 to 10 minutes for it to work its magic because the kids will be knocking on the bathroom door wanting my attention! But it can stop your hair looking frazzled by restoring the moisture in your hair! If you can bear it wash out with cold water as it closes the hair cuticles so your hair will be smoother. Believe it or not there is a correct way to apply perfume so it lasts longer. Usually I just randomly spray myself before I leave. But it’s best to spray your pulse points that gradually warm and release the scent. These areas are the back of the wrists, neck and knees. Whatever you have planned hope you all have a wonderful Valentines. ← Is it worth investing in real wood floors?